If you’re looking to gauge how your customers feel about your organization, a customer satisfaction survey can help to determine your best practices. Customer satisfaction survey results can also help you to find what areas of your business require improvement. For small- and medium-sized businesses, customer satisfaction survey results are invaluable. They can help to gain insight into what your customers are looking for and expect. Surveys can also provide the opportunity to address any concerns they may have. Regardless of the size of your business, surveys are an important tool for determining if your standards are in line with the service you provide to your customers. Conducting regular customer satisfaction surveys allows your organization to respond to any issues and improve customer loyalty. This in turn will improve your company’s revenue stream. The following points address some of the benefits of surveying your customers, customer satisfaction survey best practices, and what you can expect to gain from this practice. Customer satisfaction survey questions and answers provide your business with feedback on any concerns your clients may have. You can set up the survey’s questions to determine the level of satisfaction your customers are gaining from your products and/or services offered or leave open-ended questions to allow them to express their thoughts and expand upon their answers. The feedback they provide may just expose issues that you may not have been aware of and give you a chance to remedy them. It can also help you to determine what is successful and capitalize on it. Of course, some feedback may be too trivial or specific to have much use in improving your business going forward. It’s important to take some feedback with a grain of salt, but also ensure you’re open to your clients’ suggestions and you offer them a chance to explain their reactions and, if applicable, their lack of satisfaction. In addition to helping you improve your business’ best practices, a customer satisfaction survey also gives customers a chance to let their voices be heard. This is a valuable asset for any organization, since more and more customers are turning to social media to share their thoughts on products and services—something that is out of your control and very much public. By providing clients with the opportunity to complete a customer feedback questionnaire, you can keep possibly damaging feedback under control and dealt with privately. By asking them to participate, you’re also showing your customers that you care about their feedback and their opinion matters. As mentioned, the results of a customer questionnaire can give you and your agents valuable insight into how your customers view your company. Look at the areas that received poor results and concentrate on improving them. A good mix of open-ended and specific questions can help you determine what needs to be improved upon while also sparking potential feedback your client may not have thought to comment on. The questions in a customer satisfaction survey should encompass every department of your organization that may have contributed to a client’s experience. While you want to get your customer’s opinions on your business, there are some questions that may not directly apply to the client; in these instances, it’s best to leave them out to avoid making your questionnaire too long or potentially confuse or frustrate your client. The results of a customer satisfaction survey allow you to discover which aspects of your business you need to prioritize. They also allow you to determine if you need to improve your customer service, order processing, or billing practices, among many other aspects. To help determine your strengths and weaknesses, ensure you include number-based questions (e.g., rate your overall level of service on a scale of one to 10) and average out the responses to see where each aspect of the customer experience stands in the greater scheme. 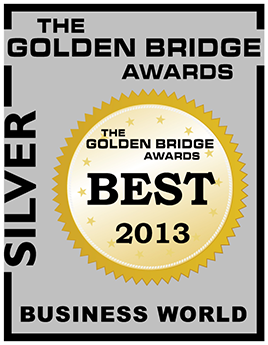 You may just determine that automating certain processes is the best route to take. You may also discover that your customers are dissatisfied with the service they receive from your agents; if this is the case, you know that further training and staff reviews are in order. If your customers are satisfied with the products and services they receive, they’re far more likely to stay with your business. If the customer satisfaction survey results indicate that your clients are not happy with the service they are receiving, they may just jump ship and head directly to your competition. Maintaining a high level of customer satisfaction is especially important for SMBs, who have a smaller group of customers, making each more valuable to your business’ overall success. Gaining valuable insight into what customers think of your brand is one sound benefit of customer satisfaction surveys. If you take the time to produce surveys consistently, you can see how customers are reacting to the changes you’ve made regarding your company’s services or products. You can use their suggestions to improve your customer services and further work on any areas that might need improvement. Surveys allow you to interact with the customer. Communicating with customers gives you the opportunity to show that you actually care about what they think. Particularly, if you are making the changes they suggest to really improve your services, customers take note and have a deeper appreciation for your brand. Despite all of the social media platforms and new technology, nothing beats a good old fashioned word-of-mouth recommendation from a trusted source. If customers are happy with your service, they’ll be recommending you to their friends. Surveys provide a means of finding out just how happy your customers are and what you can do to keep them happy. You want your customers to stay loyal to your brand and not leave you for your competition. Customer satisfaction surveys give you the opportunity to keep customers loyal by listening to their feedback and doing what you can to improve your brand. In an era where customers need more attention than ever, staying connected—be it through surveys or other means—is crucial to keeping customers loyal. People feel much more comfortable with brands that are transparent about their operations. Posting customer feedback is one way of showing potential consumers that your brand is open with its communication and that it values customer input. Customer surveys aren’t meant to be a one-time thing. They are supposed to be continuous so you and your brand can identify similarities or trends within your customers’ feedback. Recognizing those trends and applying them to your business is one way to show customers that their voices are being heard. It goes without saying that pretty much every market today is ultra competitive. That means any advantage your business can claim needs to be publicized. If you can show customers and potential customers that you excel in customer service, in addition to offering high-quality products, then you become that much more appealing. 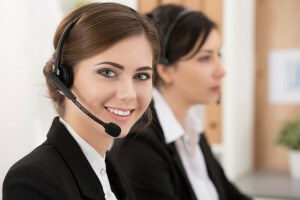 As the leading provider of outsourced call center solutions, 3C Contact Services tells our partners to perform regular customer satisfaction surveys to gain a snapshot of how your clients feel about your business. Regular surveys can help you to determine if the actions you have taken to improve your business are working and can help boost customer retention. For more information on how we can help you put a customer survey program in place, contact us today. 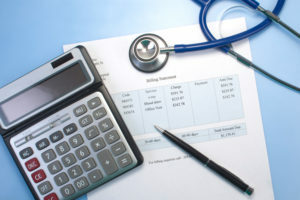 Why Should You Outsource Your Medical Billing Services?